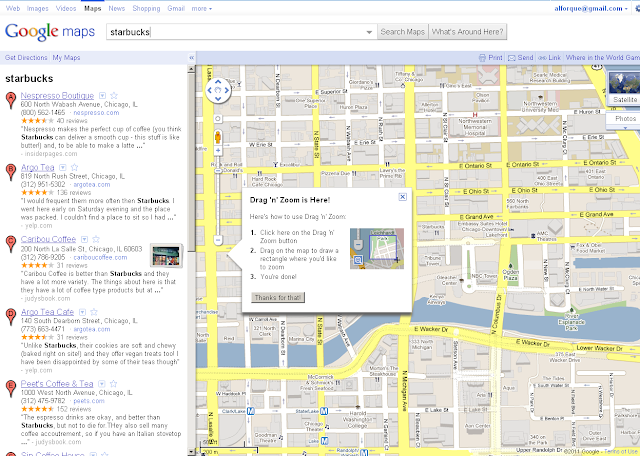 I mentioned earlier of a bug that results in Starbucks missing from my Google Maps search. 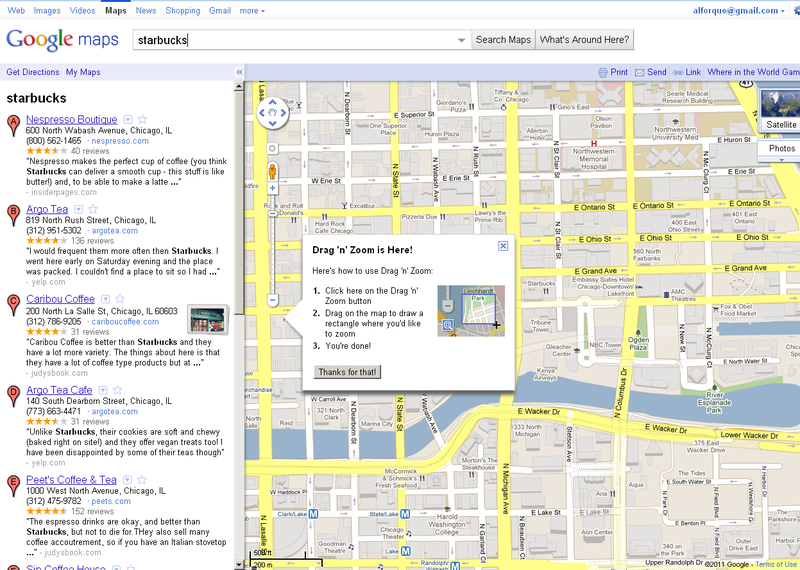 Today, Google mentions a "Drag 'n' Zoom" feature that isn't there. Why is my account all whacked?